What Do Teachers Like to Get as Gifts? As the school year winds down, it’s time to start thinking about how to express your gratitude to all of those hard-working teachers. Let’s face it, they put up with our kids all year long! How could we possibly repay them for all that they do? We all want to make sure we get things that a teacher loves and can actually be useful to them. But where to start? Gift cards are always a great idea, as they can use it for things that they actually need for themselves or their classrooms. Some want to make sure their end of year teacher gifts are a bit more personal and something that can be remembered in the future. No matter what your teacher loves, there are 10 creative end of year teacher gifts below. These will help you find the inspiration that you’re looking for! Looking for more ideas? 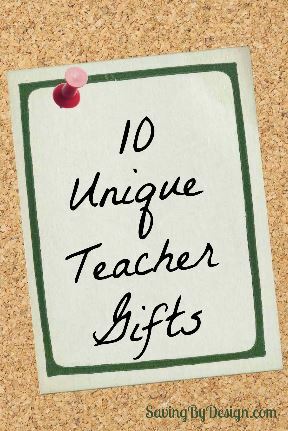 Here’s 10 unique teacher gifts. 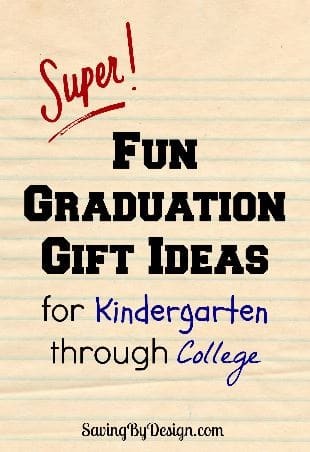 Don’t forget about those graduation gifts…take a look at these fun graduation gift ideas for kindergarten through college. Here are 10 fun end of year teacher gifts they’ll love. These will hopefully give them a little bit of an idea of how much we appreciate all of the things that they do. Day-in and day-out, they are with our kids and do so much for them! The last day of school can be a little bit crazy, so make sure you find a little time before than to get your end of year teacher gifts together. 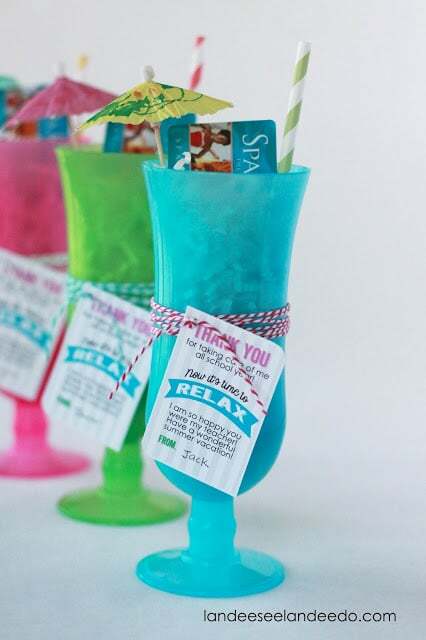 Have the kiddos help you out with these fun thank you gifts, as well! 1. 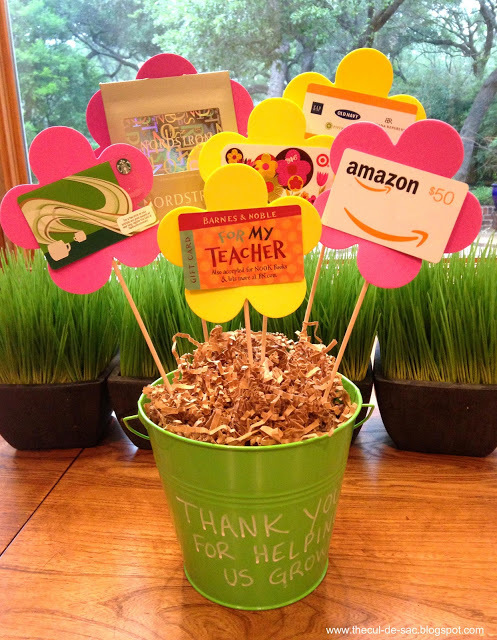 This Teacher Gift Cards “Flower Pot” found over at TheCul-De-Sac.com is a great idea if you’re looking for something that the entire class can pitch in for. How awesome would it be for the teacher to find gift cards to all of her favorite places to use up over the summer? 2. A Succulent Garden is a great idea that your teacher will have with her for many years to come. Seen over at TheIdeaRoom.net, you’ll even find a great way to present it! With a perfect tag to attach to their new succulent garden, it’s a win-win. 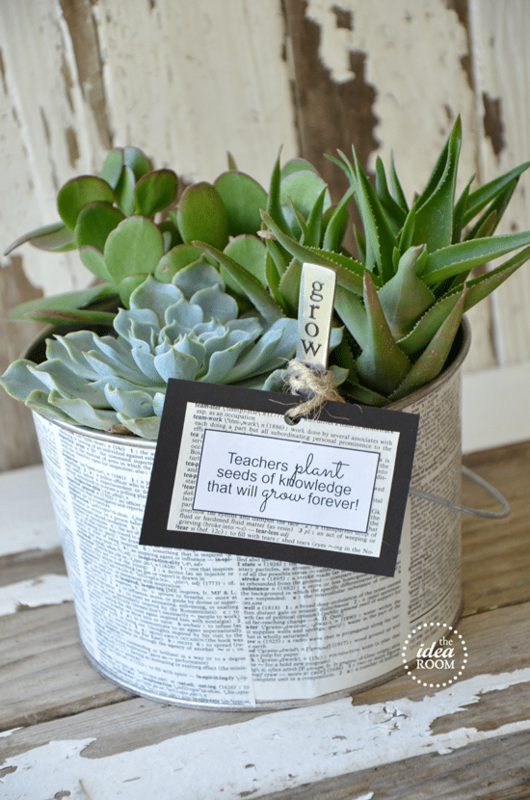 If you know your teacher loves plants and gardens, this one will be a perfect homemade gift! 3. 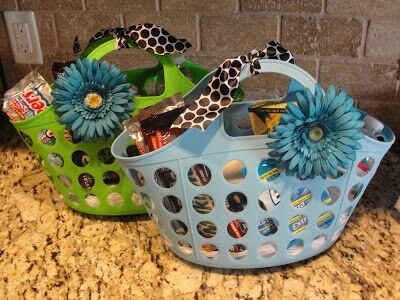 I think all teachers could use A Teacher DIY “Emergency Kit” like this one seen over at The36thAvenue.com! Include anything in the kit that you think they’d love. It could include a few sweet treats and some more practical items, along with a gift card for a local store they frequent and you’re all set! Gift cards can be a great way to make sure that your teacher is covered, no matter what! 4. A Teacher’s End-of-Year Survival Kit like this one seen over at TheQueenOfTheHouse.com is a great way to end the year with a bang! Include all of their favorites in the bag, add in a few summer treats, and you’ll be all set! I love how this is all packaged together. It’s a great DIY project that won’t break the bank! We love creative homemade gifts that the kids can help out with! 5. This Teacher’s Money Book seen over at EverythingIsPink.com is the perfect way to get the entire class involved. This is something so worthwhile! 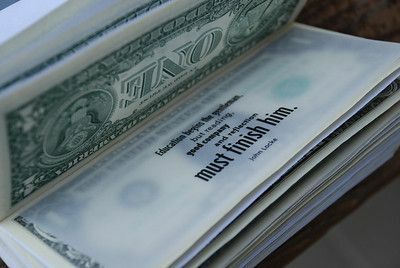 It might seem like money would be a little impersonal. But with everything our teachers do for us during the school year, this is a sweet and meaningful way to make sure they know how much they are appreciated. And getting the kids to add in their own little note for the teacher is a great way to have them be involved, too! 6. My son’s teacher is a sucker for all things coffee. 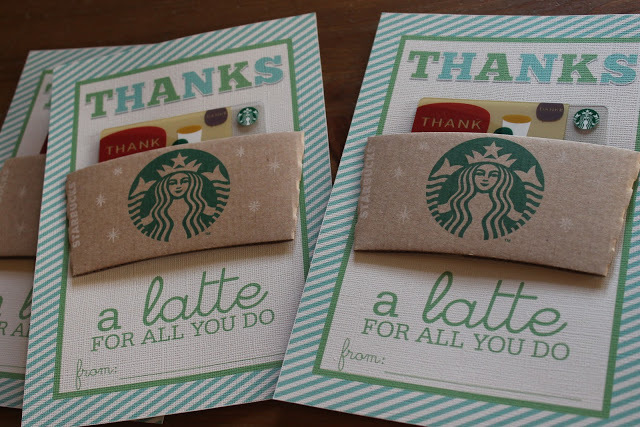 Therefore, I know that this Starbucks/Coffee Gift Card from LongingForHomeDesigns.com is on the top of my list! 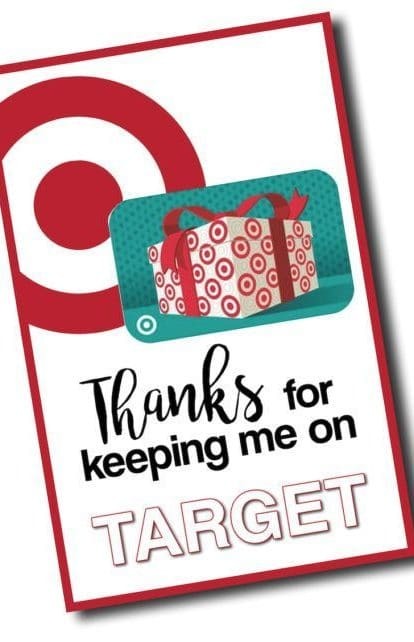 There’s also a Target gift card and Amazon gift card from Paper Trail Design. 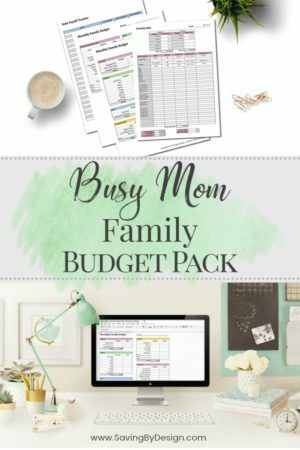 You can print off these great printables and you’ll have almost all of the work done for you. Simple yet effective! 7. This Orange You Glad It’s Summer Gift from SkipToMyLou.org is a great way for your teacher to hit the summer head-on! 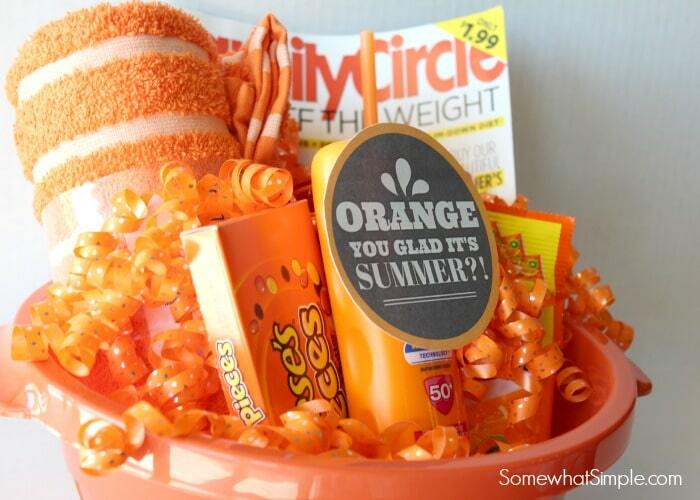 Include some summer favorites like SPF, a great beach towel, fun magazines, and sweets. Before you know it, your teacher will have everything at their fingertips to relax a bit over summer vacation! 8. 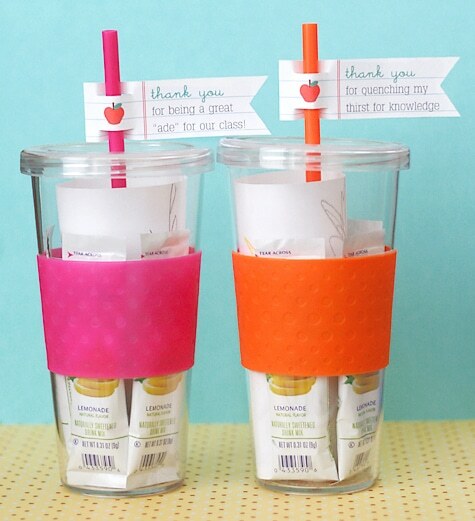 I love this Teacher Drink Gift found over at LisaStorms.com. Include a box of Crystal Light in a great summer cup and your teacher will be set! Do they love iced tea? You can use iced tea packets instead. And those super sweet flag straws are the perfect final touch! Throw in a gift card for their favorite local store or restaurant, and they’ll have a fun way to start off their summer! 9. This Time to Relax Teacher Spa Gift from LandeeSeeLandeeDo.com will be right up just about every teacher’s alley! Who wouldn’t love a day at the spa courtesy of their most recent class? 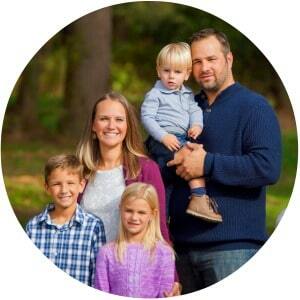 Grab the parents to contribute to a great local spa gift card. Your teacher will appreciate the time they will get to relax with a spa treatment of their choice! 10. 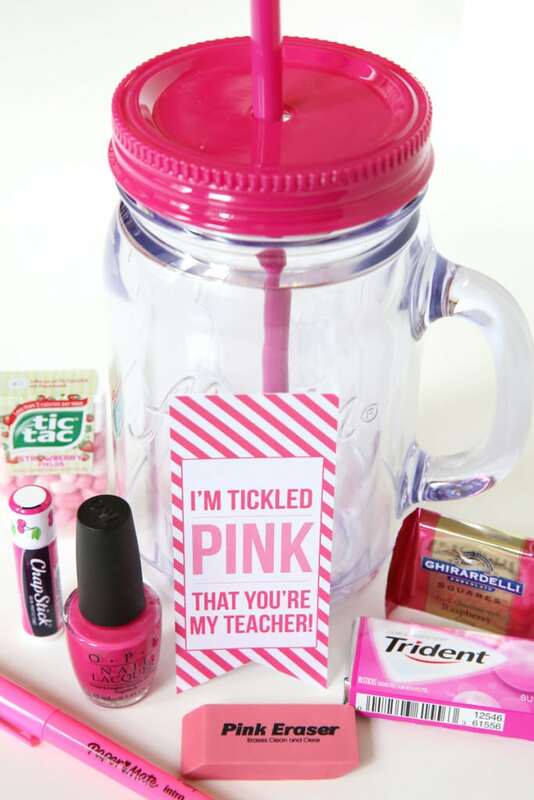 This Tickled Pink Teacher’s Gift Jar from PizzazzErie.com is another jar o’ favorites that your teacher will love and be able to use for a bit! What a bunch of great little gifts to end the year off on the right foot! Hopefully these ideas will give you a great idea of things to give your child’s teacher. Do you like to go the DIY route, or looking for something that you don’t have to worry about messing up? 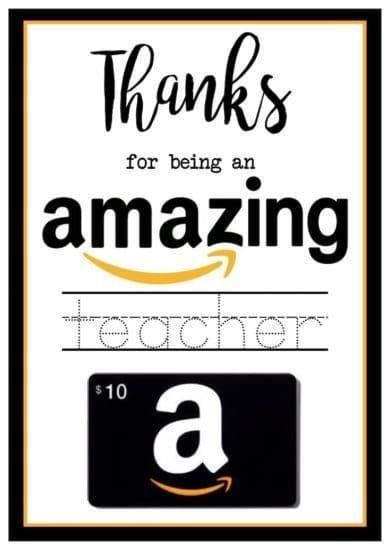 You’re sure to find an end of year teacher gift that will be an appropriate representation to their teacher for all of the hard work they do!